Home Analisi quotidiana November Trade Ideas. It’s 2007 all over again. Valuations across markets and heightened volatility feel very much like the good old 2007. 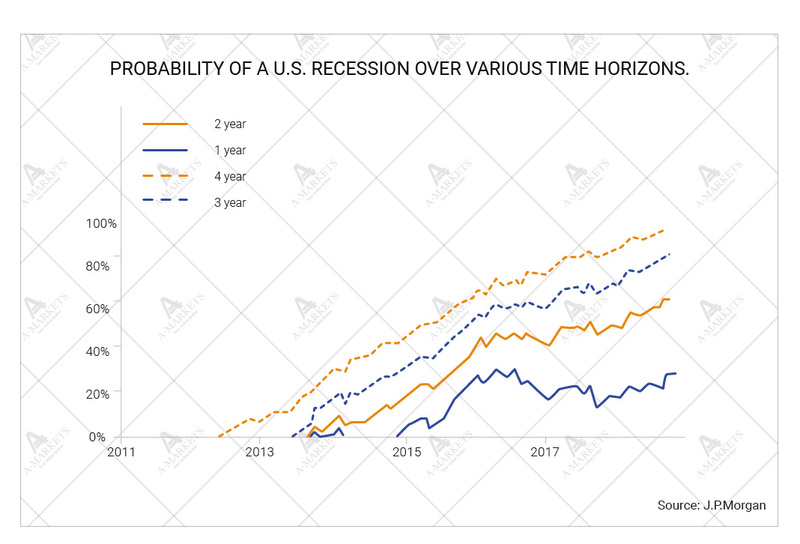 There’s a major market event of a 2008-like magnitude coming in 2019-2020, but the nature of the stress is likely to be different this time. The dollar has so far failed to strengthen materially and has not caught up with the rates, but the euro and the yuan are struggling through the headwinds of their own. The market is essentially going sideways. We expect higher volatility to spread to G7 currencies, and would caution against interpreting breakouts as emerging trends. These are likely to prove false abnormally often. There’s one last party saved for the EM currencies. We expect the Russian rouble and the Mexican peso to post another rally. 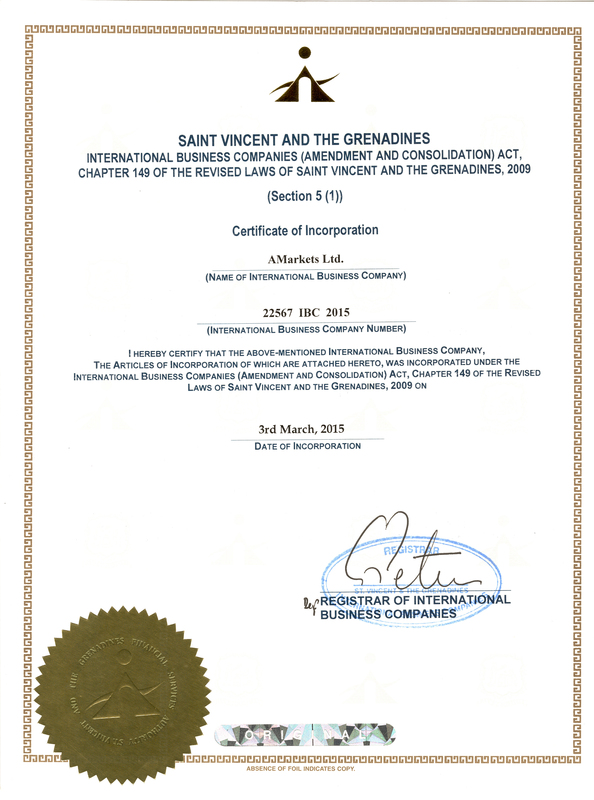 Higher volatility regime has finally gone global. October was the month when the U.S. stocks, the last of the appreciating assets, exhibited notable fragility. Equities have finally retraced meaningfully, and the VIX index has shifted higher. These are natural developments on the back of higher USD rates and the shrinking Fed’s balance sheet. Tighter monetary policy naturally causes greater price fluctuations across markets. Moreover, the outflow of liquidity so far has been very orderly. It was first withdrawn from the most speculative markets (bitcoin and other cryptocurrencies), then from the fundamentally weakest ones (EM stocks and bonds, especially where dollar borrowing had been the heaviest), and is now leaving fundamentally sound, but overpriced assets, which the U.S. equities arguably are. There is actually a whole generation of traders who have never witnessed significant downside moves, and are not even comfortable with stocks dropping by 2-3% on the day. The word on the street is that the least qualified investors are adding to selling, and this is also a part of a classic corrective move. 353 of 500 S&P500 constituents have already lost more than 10% from their previous highs. Even some of the FAANGs have fallen under pressure. So we are observing a genuine correction indeed. The question is if this is going to develop into something bigger. While there are good reasons to expect major market turbulence sometime in H2 2019 or even 2020, it’s too early to trade on a potential doomsday. 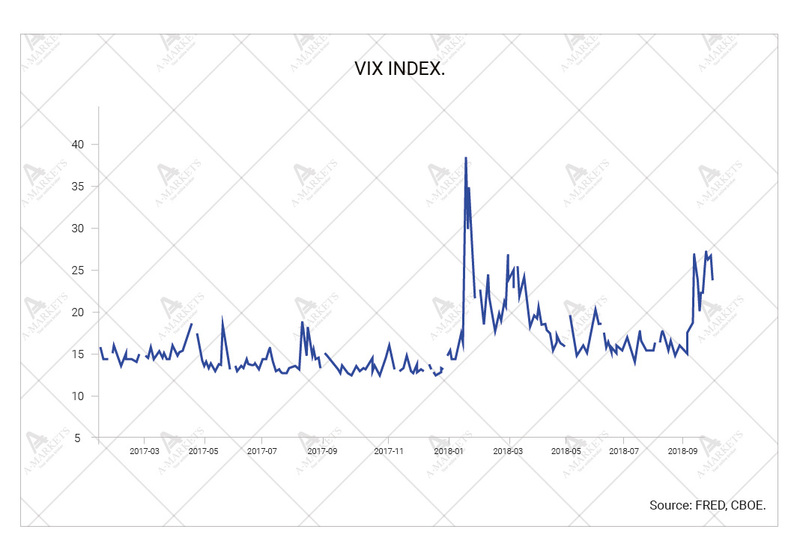 The combination of monetary policy going to neutral, and volatility moving to a persistently higher regime are reminiscent of the early 2007. Another common feature between now and then: the U.S. economy is still growing strongly, and there are no reasons to expect a significant slowdown over the short term. Through that lense, it is very interesting that 2018 is already on track to deliver negative returns on all major asset classes. That has only happened twice before: during the 2008 financial crisis and the 1970’s US stagflation. 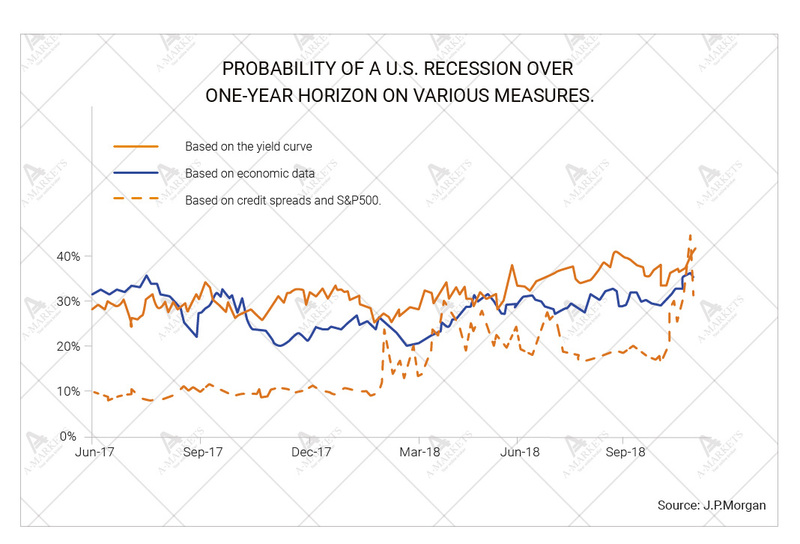 The current macro- and financial environment is much friendlier, and, again, the ongoing risk-off episode is likely just the long-awaited drawdown after a record-setting rally. The challenge is that it’s occurring during the very late stages of the economic cycle, when it is intuitively wrong to “buy the dip”. For the FX market, this translates into sideway but very volatile moves. 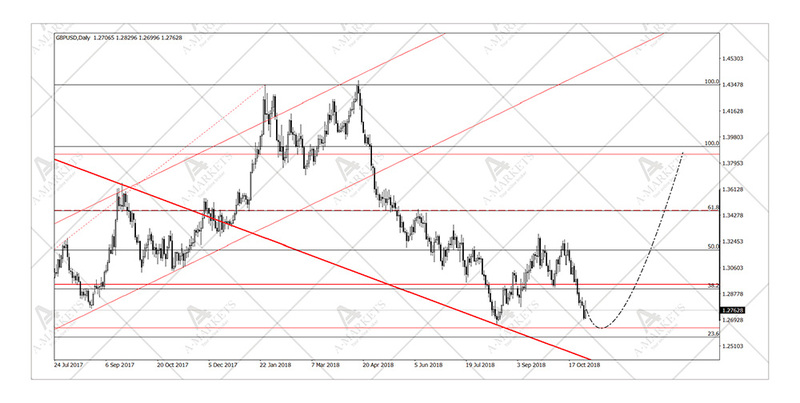 For example, EURUSD exhibits many properties of a unit in a downtrend. Yet, as we previously wrote, the move is messy, and strong bounces are possible. The price activity can be better described in terms of an expanding trading range, where the pair is simply trying to reach an escaping lower bound. Once this happens a regular reversal shall occur, and the upper bound will become the primary focus. And all that is happening when the fundamental newsflow is plain humdrum. The two lingering themes are the Italian budget and the trade wars, and neither has really developed much since our last report. On the Italian front, there has been a slight shift in the rhetoric on both sides, but that has not translated into a deal yet. We still believe that the new government’s fiscal plans are not as horrid as the EU commission is trying to paint them. Once again, we point out that when the budget draft first presented in Rome the market digested it with ease. And the turbulence set on only after Brussels criticized the plan. 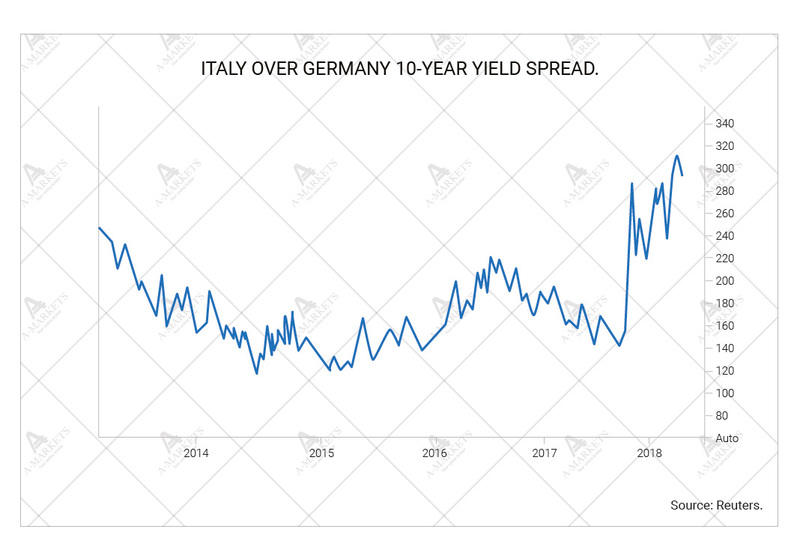 With the Italy-to-Germany yield spreads high but stable, it would be wise for the parties to reach a compromise soon. The trade war is also evolving exactly as forecast. Numerous sources report that the U.S. is readying a 10% tariff on all of the imports from China, if the next round of Trump-Xi talks proves unsuccessful. We don’t see how it can suddenly prove successful, and therefore expect additional measures on the American side. The Chinese response to the offensive has been measured and smart. The only effective countermeasure is to devalue the yuan, and that is precisely what’s happening. 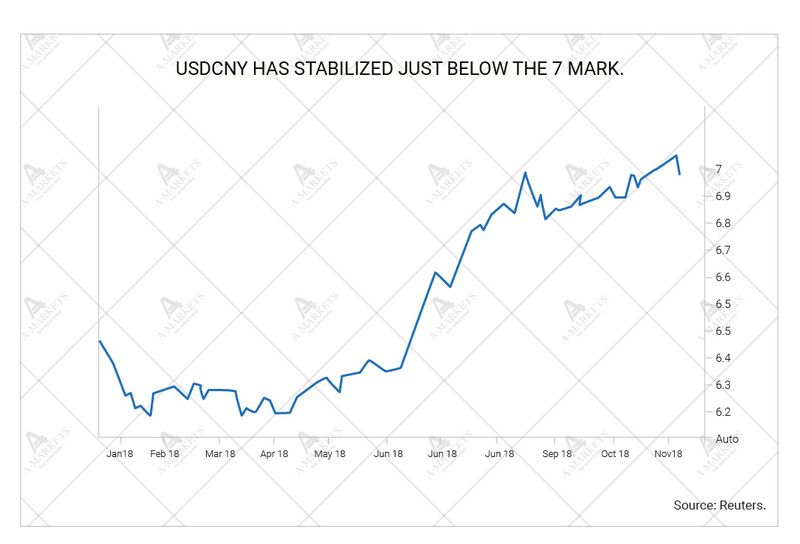 At the moment of writing USDCNY is trading at 6.98, and chances are it’s testing the 7.00 mark before year and (just as the next round of Trump-Xi talks proves unsuccessful). The only meaningful impact that these themes have on the market is heightened uncertainty. Also, given the size of Chinese FX flows, a weaker yuan automatically translates into a stronger global dollar. So the tactical pressure on EURUSD is certainly there. Again, we would caution against drawing far-reaching conclusions. Market commentators are likely to galvanize the topic of EURUSD going to parity, but that normally happens right before the trend reverses. Just like we used to persistently warn against investing heavily into cryptocurrencies, there is now a need to remind the readers of the fundamental harm that the Trump’s policies are inflicting on the U.S. currency. The next crisis (referred to as the 2H 2019 – 2020 turbulence above) is likely going to see the USD significantly lower. EURUSD: exhausting short-term downside, intraday volatility rising notably. We partially take profits in EURUSD shorts, will fully close the position at 1.122, stop-loss moved to entry. Although EURUSD remains in a tactical downtrend, it is difficult to call for extended fundamental weakness. Intraday volatility is rising, which is often indicative at least of a corrective reversal. The negative newsflow has been mostly priced in, and we expect the Italian budget deadlock to resolve over the coming month. That would give the euro a lift, as a large portion of uncertainty is removed. This would also move the ECB policy back into the spotlight, and speculation of a rate hike in 2019 should take the driving seat. There’s a spillover from a weaker yuan that has also been dragging EURUSD lower, but that should also fade, at least temporarily. 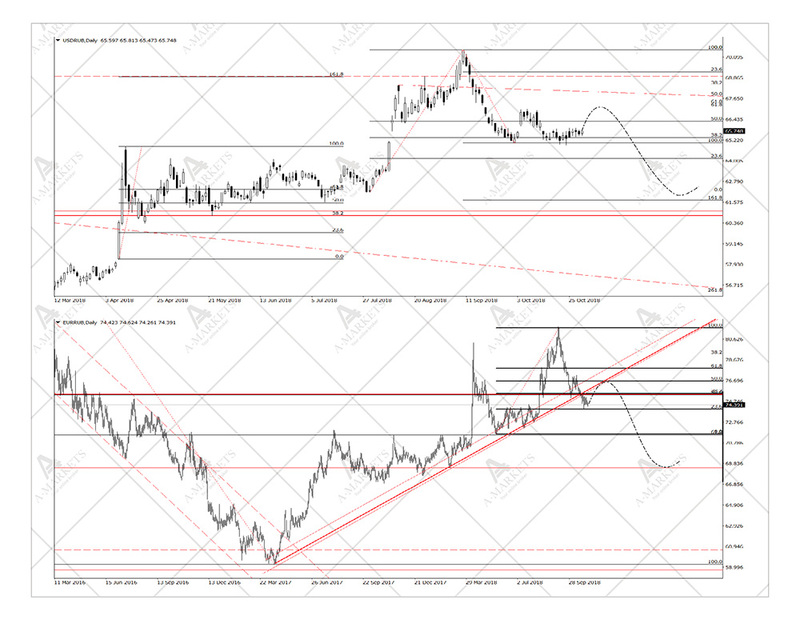 USDCNY is already close to the 7 level, and we do not think it will be taken out fast. The PBoC will not allow any material yuan depreciation ahead of the Trump-Xi meeting, and the yuan should stabilize over the course of this month. This would also lend some support to the euro. From a technical viewpoint, the downside momentum is clearly fading. And while longer-term target still lie in the 1.07 area, short-term developments are fuzzy. The probability of a rebound into the 1.185 area is uncomfortably high to stay short, as that clearly would constitute a better entry point. Going long from here also looks quite risky, but might actually be a better speculative idea. We are staying out of the market, as there are statistically better alternatives than any EURUSD trades. GBPUSD: back to fundamentally undervalued. We go long GBPUSD at 1.28, will add to the position at 1.267 targeting 1.35, stop-loss at 1.258. The pound is historically one of the most volatile within the G7 group. The properties of the price activity here are much more reminiscent of an emerging-market currency, than what used to be the global reserve unit. And that is what we currently witnessing. GBPUSD is trading around 1.27 at the time of writing, which is only 5 big figures above the Brexit lows. However, the fundamental backdrop has changed significantly. There is some progress even on the Brexit matters, and clearly more understanding of that situation than two years ago. On top of that, the Bank of England is in the tightening mode, and that has not been fully appreciated. The primary reason why sterling is trading so low is its inherited property to overreact and significantly deviate from ‘fair’ levels. From the technical viewpoint, the move down is running out of steam. The longer-term setup in GBPUSD is clearly more bullish than that in EURUSD. The major downtrend was breached in 2017, and the pound is now in a process of a multi-year recovery. We believe that 1.267-1.27 area will prove a sustainable support, and the cable will trade higher from here. It should recover to at least 1.35, and we do not rule out reaching 1.38 before year-end. 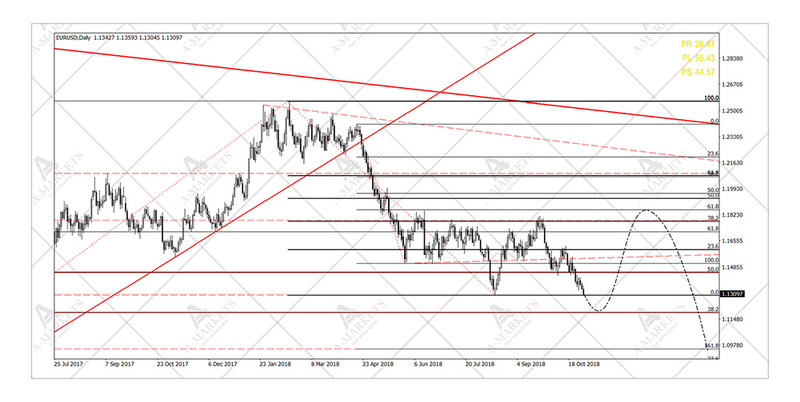 XAUUSD: short-term pause, but gold is where downside remains. We stay short XAUUSD, will take profits at 1160/1110, stop-loss to 1245. The downtrend in gold has lost steam too, but the tactical weakness is still present. 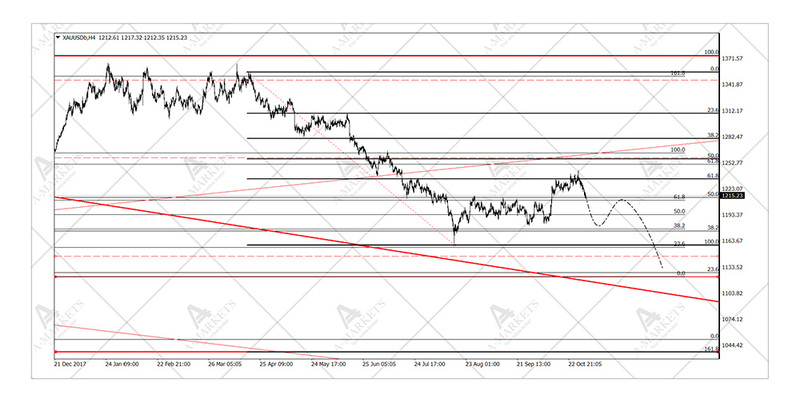 XAUUSD has been struggling below the critical resistance of 1235, and has been unable to take out that level. 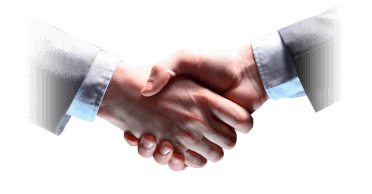 A consolidation looks reasonable in a situation where the fundamental pressure eases. Gold has been strongly correlated with the yuan (via the general USD link, we suspect), and as the Chinese currency stabilizes, a part of the pressure on precious metals is removed. Technical setup in gold remains bearish. As long as prices stay below the 1235-1245 area, there are all reasons to expect an eventual departure towards the 1160 level at the very least, and 1103 highly likely. A breach of 1214 to the downside will confirm that the short-term downtrend has resumed. Should the 1245 resistance be taken out, we will close the position, as the rebound will then have more room to run. Again, there is too much uncertainty surrounding the DXY and EURUSD, but as long as the latter is meaningfully below 1.185, there is room for broad dollar weakness, which, in turn, is supportive for gold. That’s actually the only major source of risk in this trade, and that’s what allows the stop-loss to be very tight. EURRUB: rouble exhitibing broad-based recovery potential. We sell EURRUB at the market, will add to the position at 76.5 targeting 68.8, stop-loss at 77.1. EMs generally have been under significant pressure in October. The only unit that major to post significant gains is the Turkish lira. However, that’s a local story: a recovery where the market was very short and oversold. And most other emerging market currencies posted significant losses, with the ZAR (predictably) and the MXN (unexpectedly) leading the way. The Russian rouble was somewhere in the middle of the pack, losing only moderately. The technical setup in the RUB turned fairly positive in October, and that is especially evident in the EURRUB cross rate. The unit finally broke below a year-long uptrend. While there might be a modest rally taking prices back to 76.5, that would highly likely just be a test of a former support that has now turned into a resistance. Ultimately, the move targets the 68 area. This is confirmed by the price activity in the USDRUB. Longer-term setup in the latter is still within an uptrend, but local damage has been done. Should there be a recovery to 67, we will go short USDRUB as well, targeting 62.5. It would be a good way to get long net-RUB exposure that would be there of EURUSD moves (these are too unpredictable in the short-term, as explained above).